Chelsea is about searching for excellence, reinterpreting old stalwarts of design like paths, steps and seats, re-inventing a look and sometimes, just sometimes, coming up with something so totally amazing you leave with a head full of wonderment at how inventive man just is! 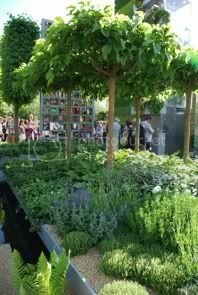 Well it is THAT time of the year again – the Chelsea Flower Show. 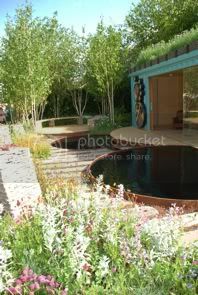 I must admit it is always the highlight of my year - design wise and horticulturally speaking. I love the atmosphere. I enjoy the hustle and bustle, I drown myself in the rose exhibits (literally! 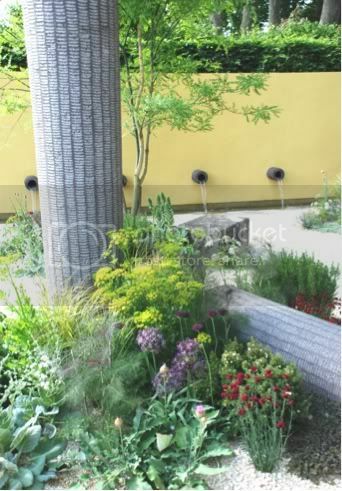 ), I take snaps of plants and flower combination that I find interesting, I also take photos of hard landscaping details – such as how a step is built or how a cantilevered staircase looks ( I am a rather sad construction geek at heart and Swiss!). But Chelsea is not just about those things, it’s about searching for excellence, reinterpreting old stalwarts of design like paths, steps and seats, re-inventing a look and sometimes, just sometimes, coming up with something so totally amazing you leave with a head full of wonderment at how inventive man just is! Anyway let’s look at pictures and there are plenty. I did have to go through over 350 of them and pick the highlights to share with you. 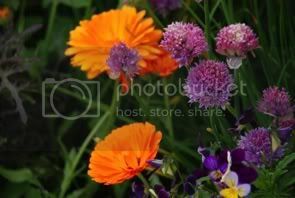 I have not mentioned every garden but you can visit our Facebook page to see all (well most) of them. 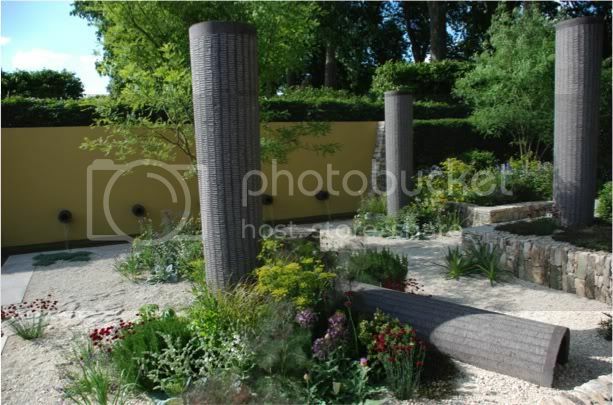 This is a sunken garden with reclaimed stone, water pipes and columns. 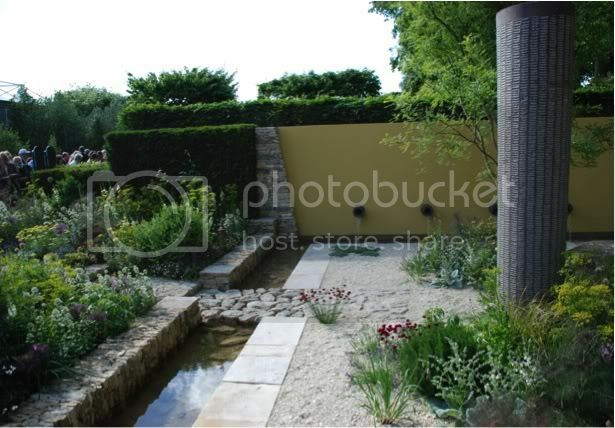 This garden has amazing planting with self seeding plants and I really liked the bridge made of rocks – a more traditional element but juxtaposed over a modern canal. So, the old and the new meshed together very successfully. Spatial design is excellent, light and airy enough but still filled with interesting elements. 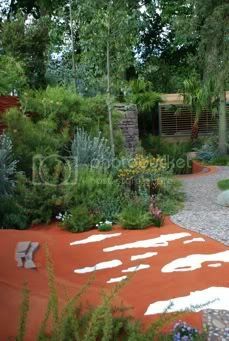 The planting is for an arid environment and indeed apparently this was partly inspired by a visit to Libya and some ruins. I loved the texture of the sculpted columns and their height brought vertical elements to the sunken garden. 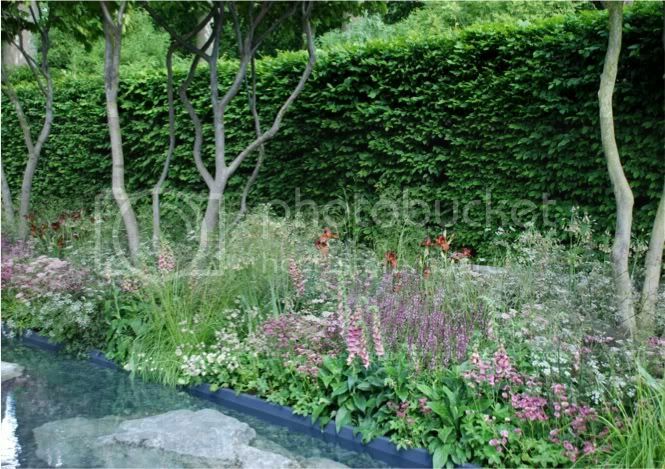 The planting is jewel-like and I really enjoyed this and it softens the hard landscaping. 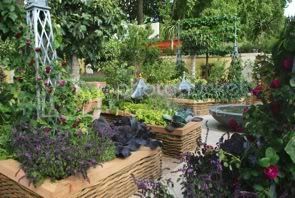 Each plant can be individually picked out in this garden, they shine on their own but the skill with which Cleve has brought them together means they form a tapestry meshing with the soil. 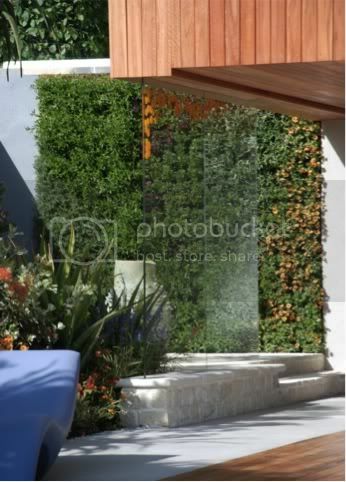 Visually stunning.The plants used can be found here. I really liked this garden, in its entirety. 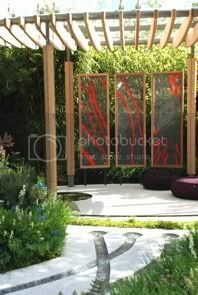 I loved the design and the planting was a real departure for Luciano I thought. 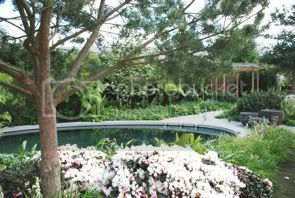 He is more known for his streamlined, neat use of plants and very little flowers to date. 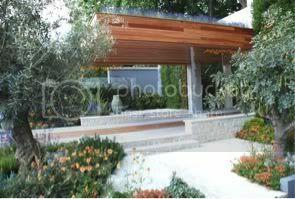 The wild planting highlighted the rocks in the stream, the bark of the Parrotia trees were also picked up in the flower colours and it was a lesson in a gently, considered and thoughtful outdoor living space. The colours of soft pink, maroon and bronze redolent of the Laurent-Perrier pink champagne! Enough stimulation to keep your attention and gentle to keep you relaxed and calm. 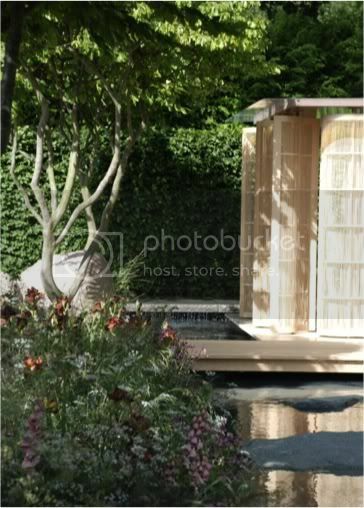 This garden is elegance personified – it reminds me of Monet’s paintings – positively painterly! You can see the plants used by Luciano here. Another garden I absolutely loved. This garden again very elegant but more punchy than Luciano’s. It’s a different style. Vibrant and dynamic, showcasing the best of the plants that the Med can offer. 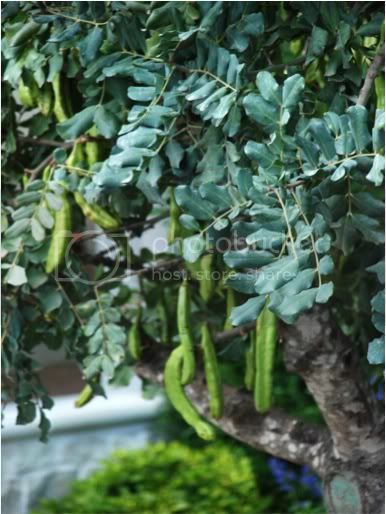 They even have a Carob tree (see below)! 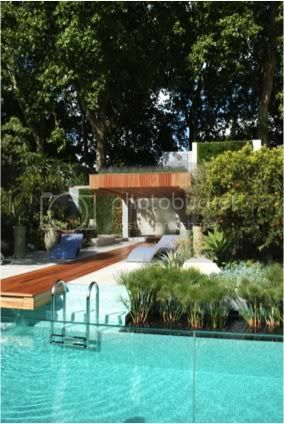 Very bold design, especially in using a dead straight path coming down the garden - the foreshortening works fantastically well - it gives you the impression that the garden is intimate but when you look at it laterally you realise how large the space is and how the volumes were extremely well thought out. 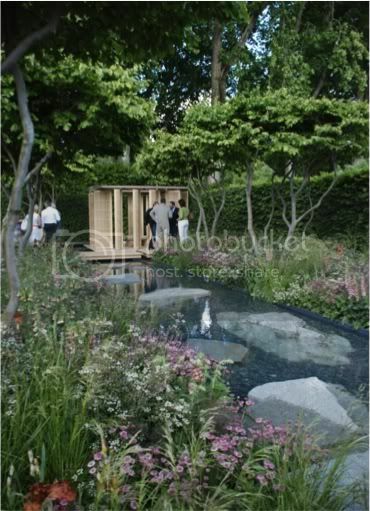 THE ROYAL BANK OF CANADA NEW WILD GARDEN – Silver-Gilt medal – designed by Nigel Dunnett & The Landscape Agency, built by Landform Consultants. 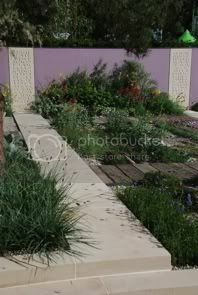 This garden is delightful, all the things I love in a garden without looking too “hippish”! Green roof, reuse of a shipping container, habitat walls or “bug hotels” as many people call them and it’s a rain garden too. 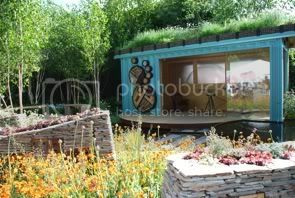 Dunnett is renowned in the horticultural world for his research on green roofs and rain gardens as well as naturalistic planting schemes he has devised. 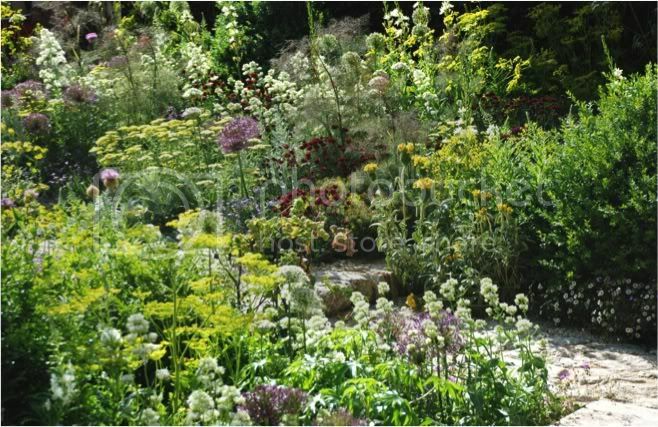 I like this garden as it takes inspiration from the past – in this case – Arts & Crafts and the Victorian horticulturist William Robinson who advocated naturalistic planting – but reinterprets it to suit the 21st century. 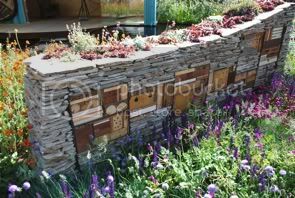 The walls within the garden housed a variety of bug hotels, and were surrounded by naturalistic planting which the bees obviously enjoyed! Only a small plot of 12mx10m but it just shows how much you can put into a garden and how you can benefit the environment as well as be a visual feast for the eyes. 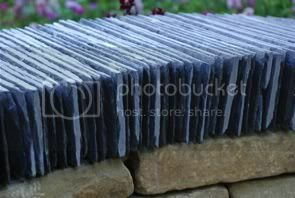 I loved the reflective pools- these collect the water that does not get absorbed from the green roof and distributes it into a variety of recipients throughout the garden. In a rainwater garden this is exactly what happens, containers or swales get filled and when full move on to the next area and so on. 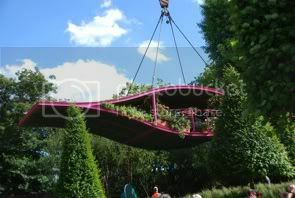 A fantastic way of mitigating floods in urban areas as well as in the countryside and it looks stunning. Below some more photos that you will hopefully enjoy. I also have some more on Facebook.